The Protherm, LLC lineup of unique and energy efficient, electric Infrared heaters has been carefully developed by Protherm, LLC using the highest quality materials available, and assembled in ways to insure maximum heat transfer to you product. Here is just one example of how the geometry of our Series FS heater elements proves this concept. In house, in plant, and independent laboratory test have shown that when applying the same wattage under the same conditions, Protherm, LLC Series FS heaters are the most efficient in transferring energy directly to the part. 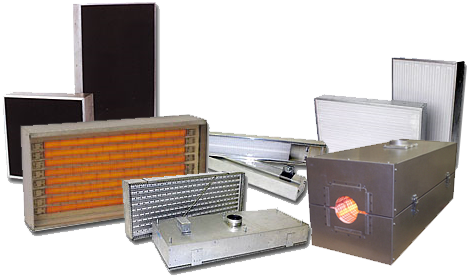 PROTHERM, LLC electric infrared heaters are an environmentally friendly, responsible choice. Our clean electric heaters do not produce environmentally hazardous by-products, or add any other variables to the process. Greenhouse gasses (produced by some infrared sources) are defined as- water, carbon dioxide, methane, nitrous oxide, ozone, and chlorofluorocarbons. Infrared energy is absorbed by these gasses which reduces the energy to your product, so why would you want your IR emitter to produce them. With recent government “Green” initiatives and mandates to reduce carbon footprints, using or switching to PROTHERM, LLC Electric IR instead of petroleum-base fueled heaters is the ideal choice to reduce greenhouse gas emissions and utilize a clean, high efficiency heat source. You can further reduce your carbon footprint by purchasing electric power blocks from clean power technologies. Contact your local utility for more information. Controls- By using SCR power controllers, Protherm, LLC heaters can be precisely controlled to any setting throughout the full 0-100% range. If controlling from the optional thermocouples in the heaters, temperatures can be control and repeated to the exact degree. Zoning- Protherm, LLC heaters can be custom zoned to provide the energy where you need it, and to turn down or off where you do not. Heaters can be tuned down or off upon a line stop and can quickly come back up to power. Heater adjustment- Many Protherm, LLC oven systems provide heater adjustment mechanisms to direct the infrared energy to the part as needed for increased efficiency. Exhaust- With a properly designed electric infrared system, there is little or no exhaust required. The resulting clean ambient heat in the oven chamber can often be reused and redirected into other in plant heating systems, or to supplement facility heating requirements. Insulation- Protherm, LLC oven systems are normally fully insulated and typically have an additional inner chamber to contain heat around the part for maximum results. In today’s higher priced utility market, we understand your need to maximize production while reducing operational costs. One example of how Protherm, LLC has helped accomplish this is in the paint/finishing industry. We have customers who have added a Protherm, LLC IR Booster oven in front of their convection cure oven and had incredible results. We have seen customers reduce operating costs up to 50% (and even more in some cases) by being able to increase line speeds by 50-100%, reduced convection oven size by 50% , reduce convection oven operating temperatures, reduce rework, while improving over all quality. Call or contact Protherm, LLC today to see how applying innovative technologies like Protherm, LLC Electric Infrared to your facility can increase you bottom line and make this world a better place.